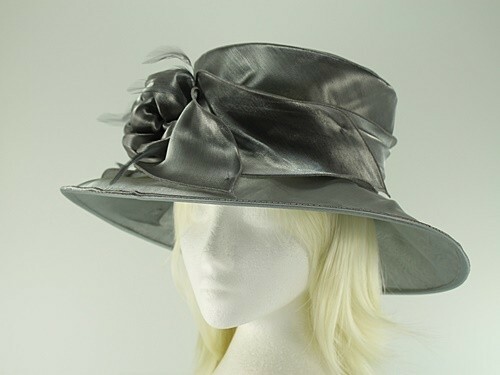 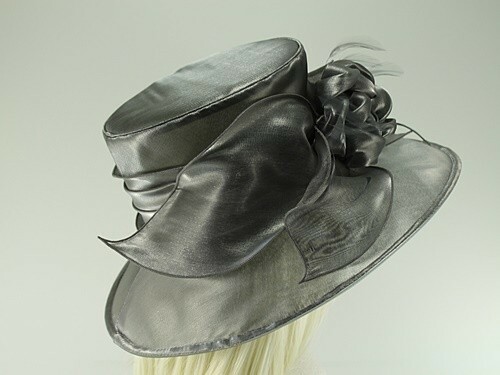 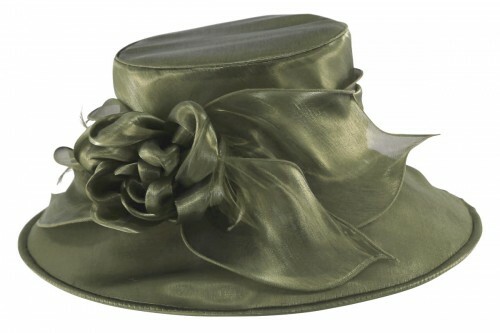 From the Failsworth Millinery Spring / Summer Collection, this exceptional collapsible hat is made from organza. 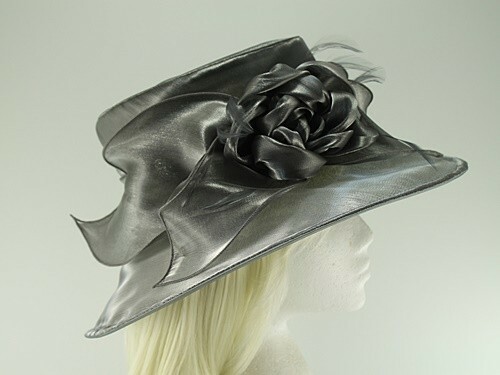 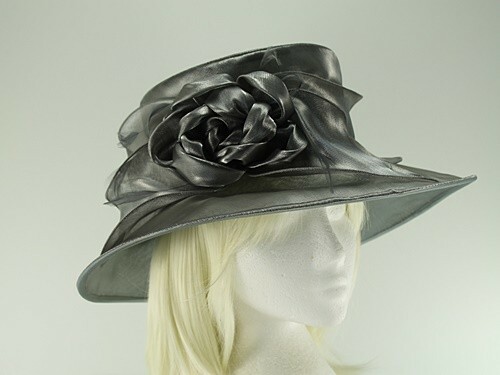 It is decorated with matching organza leaves, hat banding and a rose motif. 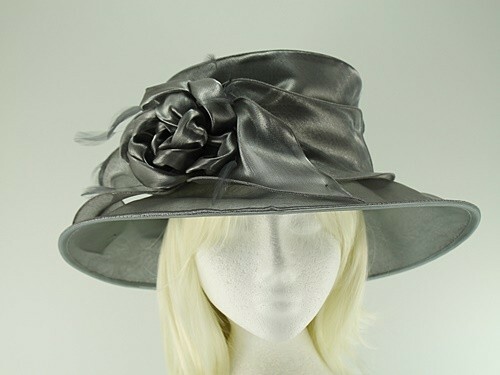 This hat measures 38cm across the brim. 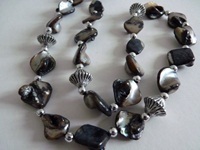 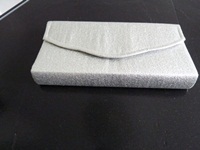 For added convenience it has an internal size adjuster.